Which restaurant has the best gluten-free pizza in the Delaware Valley? Which supermarket has the widest variety of gluten-free groceries? You can nominate your favorite Philadelphia-area gluten-free-friendly eateries, bakeries, stores and more in the 2011 Gluten Free Philly Readers' Choice Awards. Voting is now open [click here for the link to the voting site] and will run for two weeks - until Monday, July 11. I'll compile the votes and announce the winners later this summer. 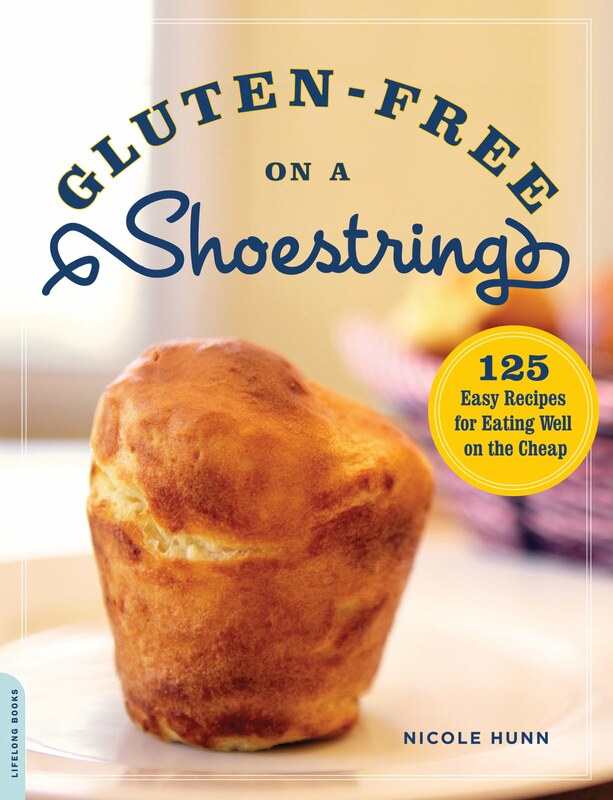 In addition, one randomly selected voter will win a copy of Nicole Hunn's recently published cookbook, Gluten-Free on a Shoestring . The book has 125 inexpensive gluten-free recipes for savory dinners, favorite desserts, comfort foods and more. For the Readers' Choice Awards, you can submit one nomination per category in as many categories as you like; feel free to use the Gluten Free Philly restaurant and bakery/market lists as guides to the categories. The business or product must be located or available in southeastern Pennsylvania, south-central or southern New Jersey, or northern Delaware. The only required information needed for a valid submission - in addition to your nominations, of course - is your name, city and state, and email address (one entry per person, please). This information will be used only for survey demographics (there may be separate awards for best pizza in Pennsylvania suburbs, best pizza in Delaware, etc.) and so that I can contact the cookbook winner.